I have been wracking my brains for something to tell you about. 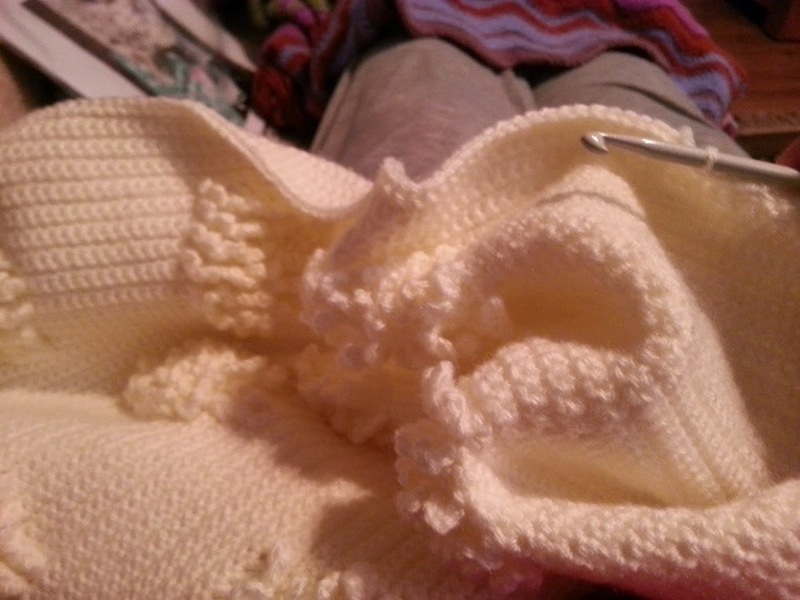 I have been crocheting like the clappers for days on end but I am finding it hard to think of anything more I can tell you about the sheep blanket I am making. It is still growing, slowly, still all cream and still very cute. But there really is only so much I can say about it until it's done, which will hopefully be very soon! I can't pretend that I am not craving colour though so I have been having a look around and listing all the things I need/want to finish and one thing has really been bugging me for some time now. Remember this? 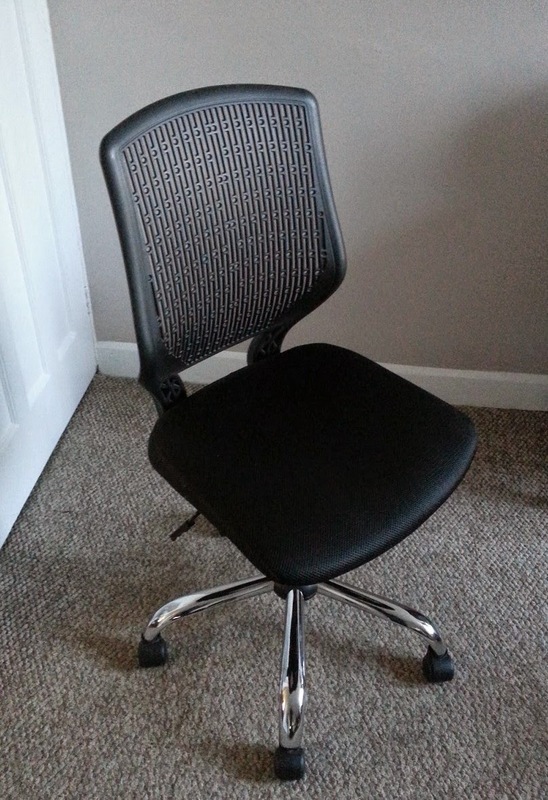 The boring office chair that we have the dining room that marked the walls as it was all in black. 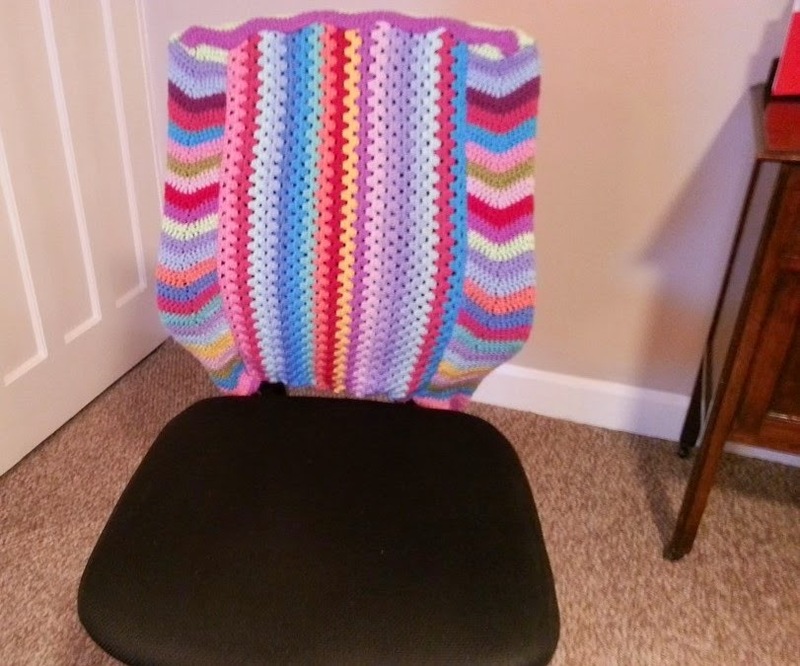 So I found a couple of peices of crochet that I had made for something else, (that didn't get finished) and sewed them together to put on the back of the chair. It did the job, no more nasty black marks when it rubbed against the wall and yet something else in the house that has been given the wooly treatment. The seat however is the thing that has bugged me. 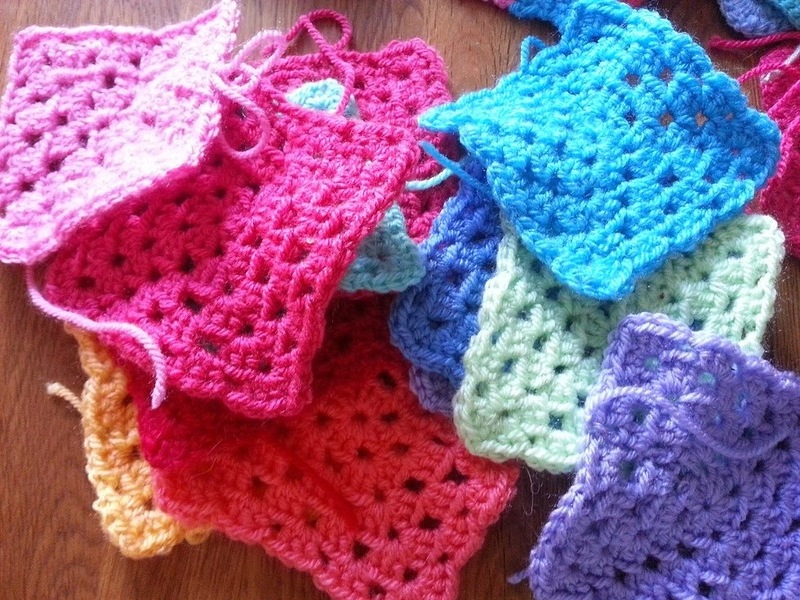 I had no big plans for it, just some simple granny squares fitted on nicely. 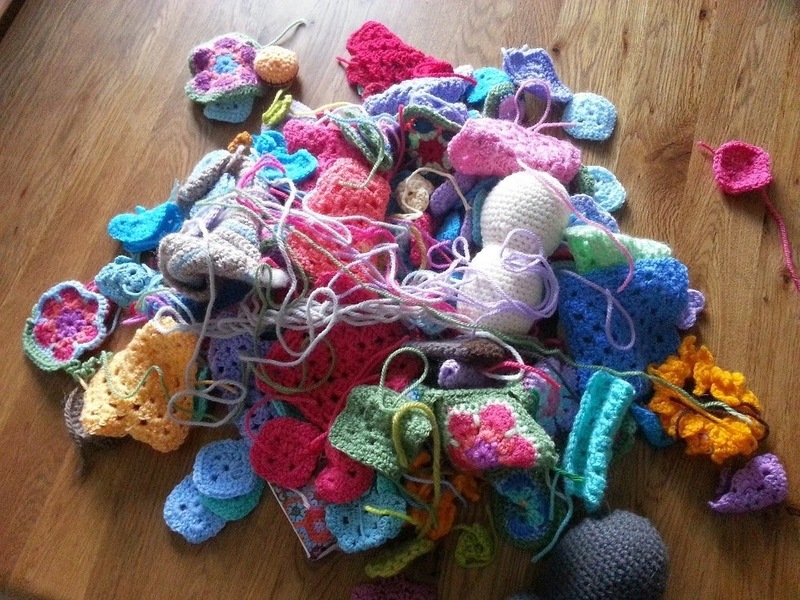 Now I knew that I must have some granny squares already made up that I could use for this but where were they? I am sure I have more somewhere but I really don't know where. 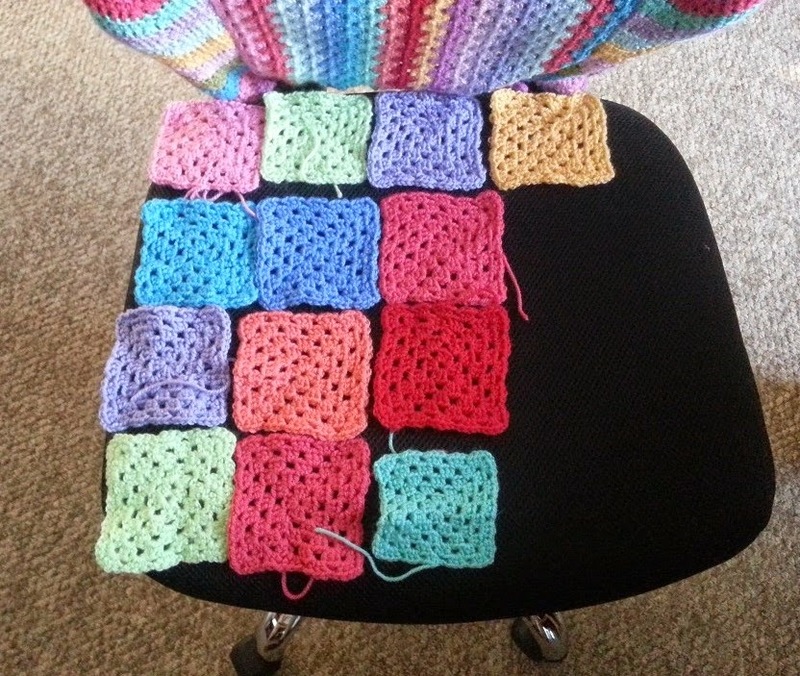 I laid them out on the chair and I nearly have enough to make a cover for the seat! It won't take me long to make the few that I need to finish it and then sew them up, I could probably get that all done in an evening. 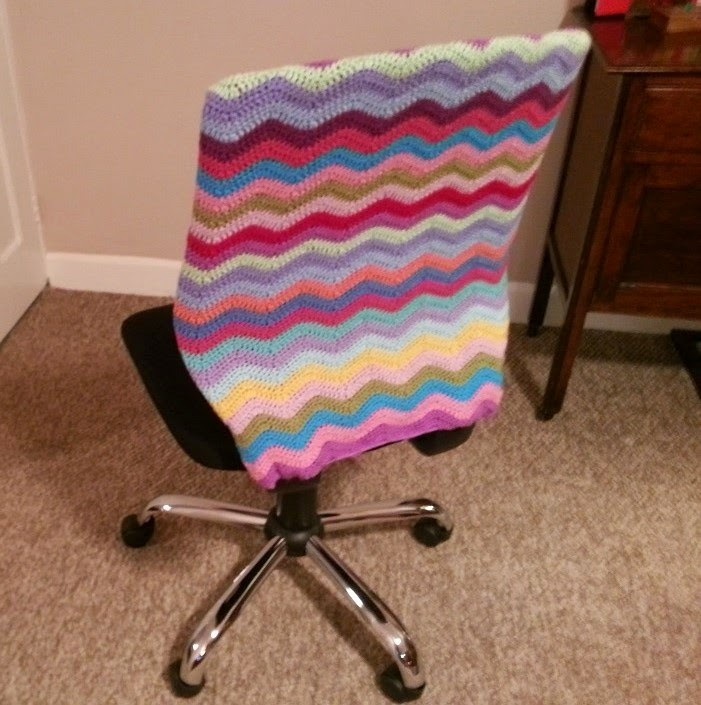 I do fear that If I put down this sheep blanket it might stay put-down so I shall do a bit more and making this seat cover can be my reward for when I have finished it.